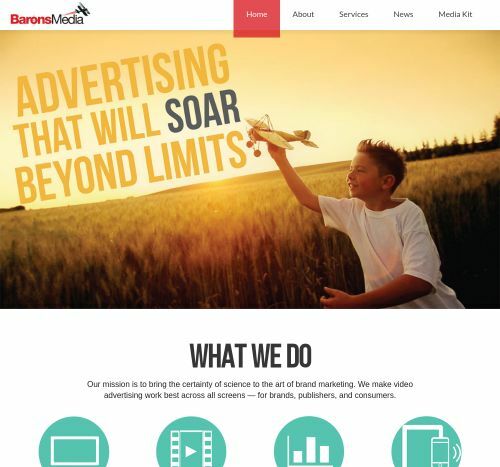 BARONSMEDIA Video, Mobile, Banner advertising network details. BARONSMEDIA aims to bring the certainty of science in the brand marketing. Their offer consists in video advertising for all screen formats, designed for brands, publishers and consumers. Their platform is based on Programmatic advertising and they have various designs for Mobile, Display and Video Interstitials. BARONSMEDIA is an innovative platform that has a variety of sophisticated display and video solutions meant to increase your business. Check the reviews on Affbank about BARONSMEDIA and for any details regarding their Target Audience, Pricing Models and Advertising Formats, reach the Information section.